Terrassa with a great view! 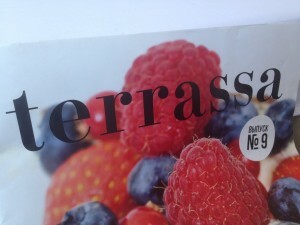 Terrassa is a popular European fusion restaurant in the middle of St Petersburg; the restaurant is in the Ginza Projects building in the park behind the Kazan Cathedral and has a magnificent view over the Cathedral and the surrounding areas. 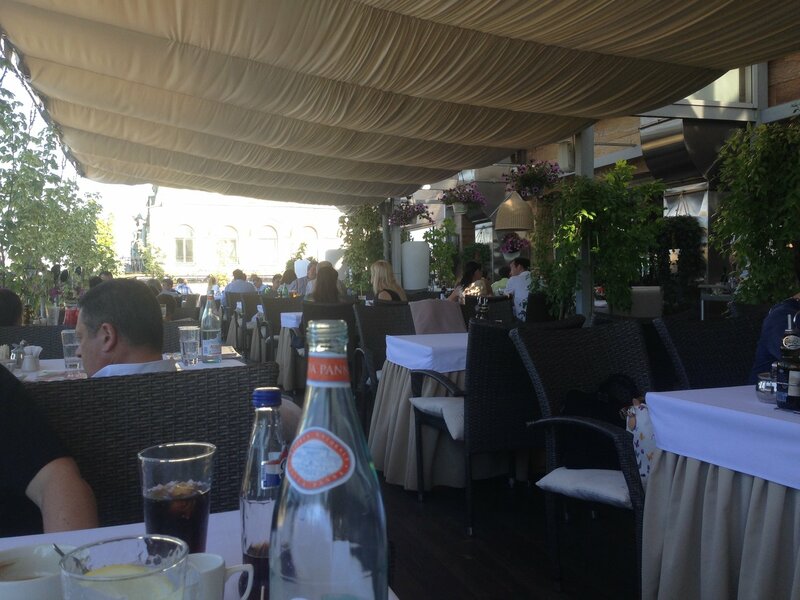 The restaurant has tables inside and outside on the rooftop, you will likely be served fast as there are many servers and the service level is good. The food here is fresh and the meny is big with meat, fish, salads, sushi and desserts, prices vary from 800 to 3500 Russian rubles pr person. That’s around 20 to 100 US.